One of the great luxuries of owning your own home is the satisfaction we get out of making it exactly the way we want. If you're crafty, turn a room into a sewing space. If you're a gardener, make a little potting bench in your basement or back deck. 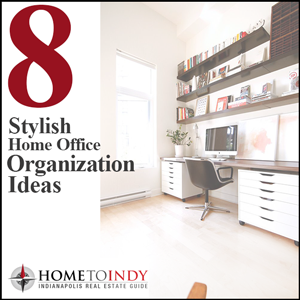 But almost any home needs an office–a place to organize your computer, printer, books, gadgets and files. More and more people are working from home these days, and even if you don't have the luxury to work anywhere, you might be putting in a few work hours in the evenings and weekends at home. If you're spending significant time in your home office, you'll be much more productive if you organize it just right. And you'll enjoy it more, too. Here's your guide to organizing the perfect home office. First things first, you have a home office right? If not, it's time to find one. If you have an extra bedroom that you're not using, or only using occasionally, reclaim the space for an office. You can still use it as a guest bedroom by having a small futon or convertable couch on the wall opposite your desk. 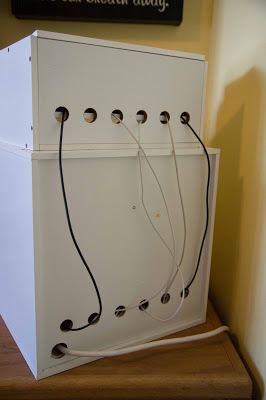 This makes the room cozy while adding extra functionality to the space. Make sure there is a window in the room or nearby. You'll feel more alive if you have natural light in the room where you're spending many hours typing away on those reports. Putting in long hours sitting at a desk staring at a computer can bring strain and discomfort, not to mention various negative health impacts. Focus on your long-term health when you consider each piece of equipment, be it chair, desk, mouse, lighting, or phone (use a bluetooth headset or ear buds so you can walk around during a long call). 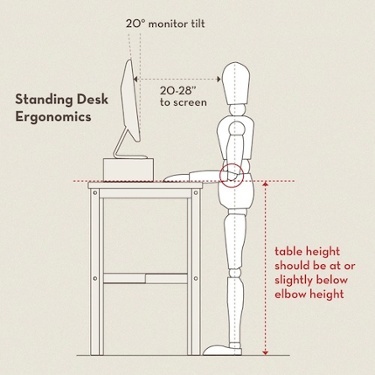 Think of alternative working spaces like a standing desk to help issues that come with sitting down all day. Bookshelves add extra organizing space for your home office and besides holding all of your books, can also hold small plants, a lamp, stereo, a printer and more. There are so many ways to do shelves, from free-standing bookshelves to space-saving wall shelves. 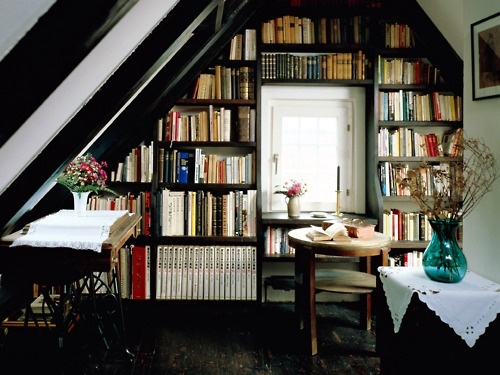 I love this dramatic use of an odd space, like a sloped ceiling in a finished attic, for built-in bookshelves. Don't have a bedroom or attic to spare? Maybe you have a really large living room or dining room. 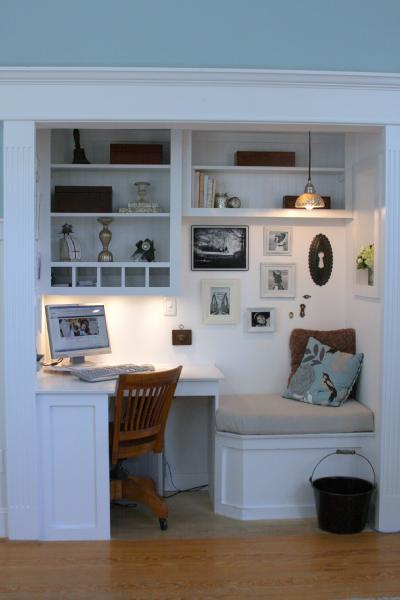 See if there's a way to section off part of the room with a bookshelf, chairs and a desk to make an office corner. Or, you can convert a hallway nook. It's all about making the most of your space. Looking for a clean, minimal look? 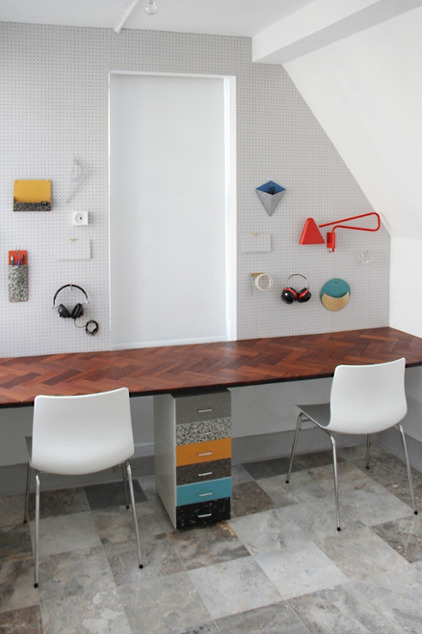 Try a beautiful table top and wall-sized peg board for a customized, modern workspace. 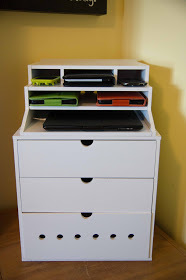 If you want to keep your home office to yourself, but still want a quiet dedicated space for the kids to do homework, think about creating a homework station just for them. Here's a neat trick with a small space, a bookshelf and a couple of chairs. 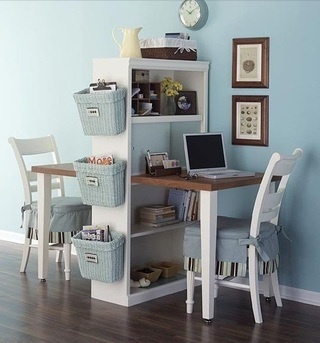 What are your ideas for organizing and perfecting your home office workspaces? Leave a comment below.